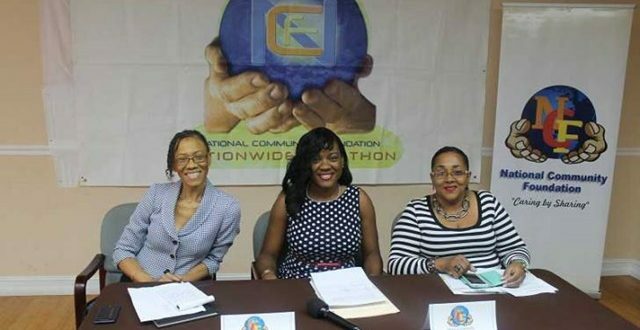 Flow and the National Community Foundation (NCF) are teaming up once again, for the 2017 NCF National Telethon. Saint Lucia’s leading telecoms provider, Flow, is the official telecommunications sponsor of the 14th edition of the National Telethon, which is scheduled for Sunday May 28th 2017. The company is contributing free broadband internet service, landlines and telephones, mobile credit, ISDN lines to facilitate live media broadcast of the event, Flow Digital TV service to facilitate public onsite viewing of the proceedings, and DIA lines for credit card donations. Flow is also providing the NCF with a toll-free number for the public to call and make their pledges, and shortcodes so that donations can be made via texting. Flow technicians will be available to provide technical support throughout the event. Flow was one of the original corporate sponsors of the National Telethon, which began in 2003. This year, the NCF hopes to raise in excess of $200,000. The NCF raises funds to assist with educational and medical programs for citizens in need, youth at risk, and the care of the elderly. SHOULD DR. UBALDUS RAYMOND CONTINUE SERVING AS A SENATOR DURING HIS LEAVE PERIOD?